A young Rockland resident, 9 year old Gavin Shaw, was recently diagnosed with a brain tumor & underwent a very long surgery to have the tumor removed. 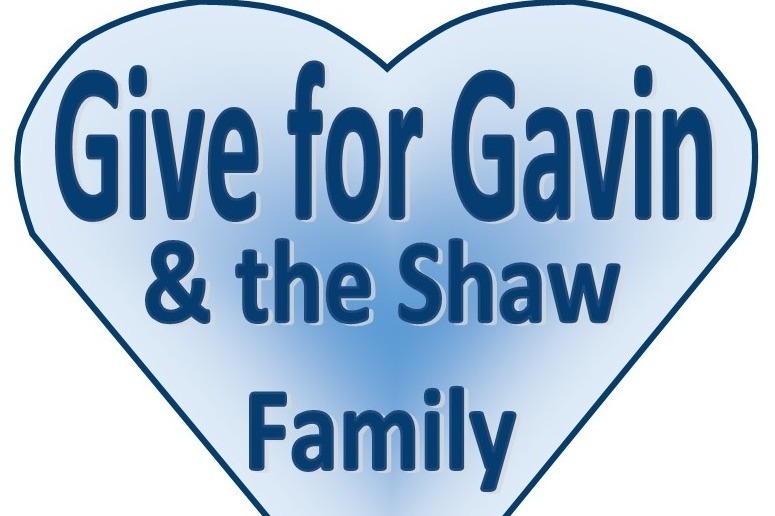 Unfortunately, Gavin still faces many other treatments and difficult journey ahead. This is a very scary time for him and his family who are at his side. The Shaw family has been very active in the Rockland community. Gavin played competitive soccer with Rockland United and his father has been generous with his time, talent and energy as dedicated coach for Gavin's team. Gavin and his younger brother Mason have been playing with the Rockland minor hockey associations while their older sibling Ariel is in figure skating with the Rockland Skating Club. We are reaching out to our Figure Skating and Hockey families, soccer community as well as the entire community of Rockland to help Gavin and his family get through this difficult time. This is a way for everyone to give back to a great family and an awesome little guy who deserves to know people care! Any level of contribution will be an enormous support for the Shaw family through this very challenging time. Please find it in your heart to support this beautiful family in any way you can. If you would like to contribute in other ways, please contact Joanne via email or via Facebook Messenger (Joanne Vermette Wyche) to arrange for donation drop off. I'm writing this note to give our personal "thank you" to each and everyone who has prayed for us and gave us your thoughts, sent cards, made us meals, made a financial donation, and everything else you have done to support us through a very difficult time with Gavin's illness. Living in a community where people are so concerned and are so willing to give you a helping hand is wonderful. We are so fortunate to live in the community of Clarence -Rockland, and to know and have relationships with so many beautiful people. Our current circumstances are very trying, but they provide me and Kelly with an opportunity to reinforce an important lesson we've always tried to share with our kids: To give of yourself to help others in need is one of the best gifts you can ever give. 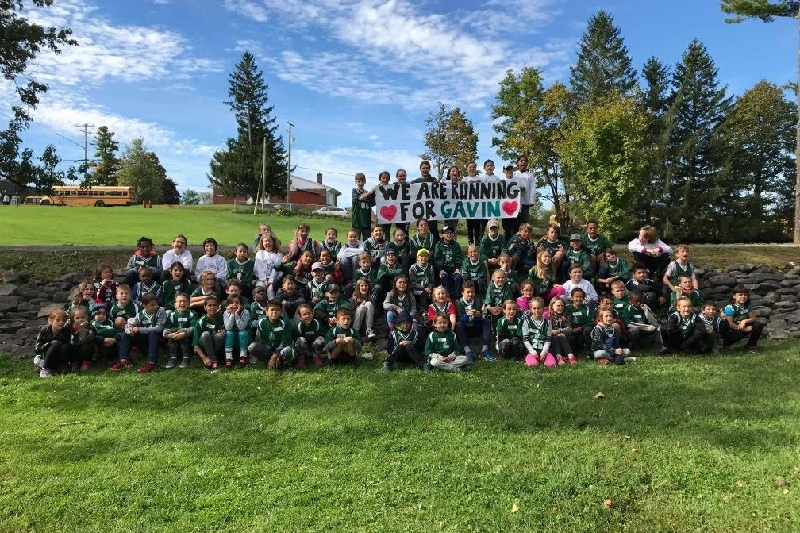 The Skate for Gavin fundraiser held last weekend was an extraordinary example of the entire community coming together to help Gavin and our family. It was absolutely overwhelming, and to see Gavin skate again was so special. Thank you, thank you to the organizers, volunteers, businesses and individuals who donated prizes, St. Patrick Catholic School, family, friends and all who participated. We are speechless! When you sit and watch your child in a hospital bed, or at home, struggling, sometimes you feel helpless, and your life changes instantly. We are so grateful for family, friends and all the prayers, cards, words of encouragement and all the love everyone has given us. Words can not express our thoughts. The community has helped to pick our family up, and is now walking with us through our difficult journey. We will always look to pay the generosity forward. Gavin is still fighting strong! He will be finishing his radiation on November 29. He will get a break to build up his strength before starting heavy chemotherapy treatments in early January. Unfortunately, Gavin has been losing weight and will likely have to be hospitalized for a few days to have a feeding tube setup. We've been told this is common for patients going through the same treatment plan as Gavin. Needless to say, Gavin is not happy about having to do this. Just another step that needs to happen for him to get better. We thank you for coming into our lives and giving us hope! Please keep Gavin in your thoughts and prayers. Gavin had a long and trying day. He started chemotherapy. After that, Gavin had an hour-long MRI followed by his radiation treatment. He was strong making it through the day, and he is having a good night. 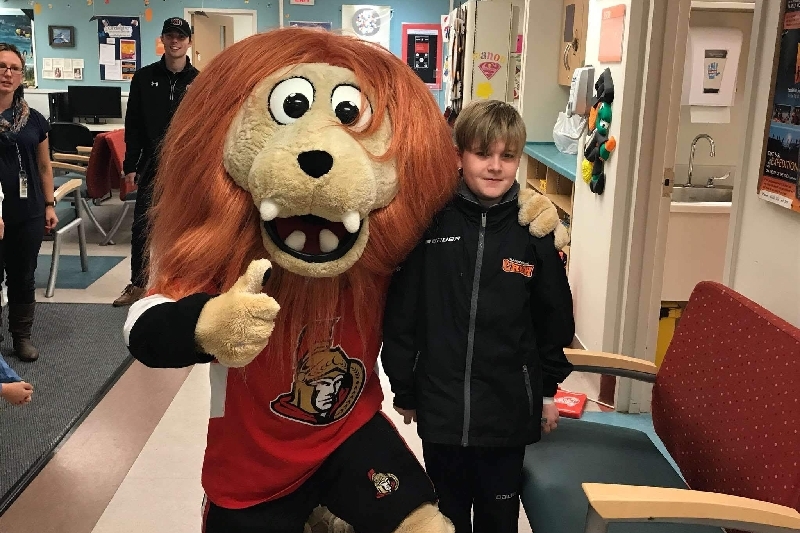 It helped that he had a special visitor, Spartacat, greet him at CHEO today! Gavin continues to be our hero! He began his radiation treatments last Thursday. He had a very difficult few days following the start of his treatments, however, he has shown incredible courage and is doing much better this week. In fact, Gavin went to school every day this week. Gavin starts chemotherapy tomorrow. He is very nervous, which is to be expected. We know he will overcome his fears and show his strength as he has done every step of the way since he was first diagnosed. We want to thank everyone for helping to make Gavin's 10th birthday so special. The incredible support we received from family, friends and the community made it a birthday he'll always remember. It was so great to see him laugh and smile, and to forget about his illness for the day! We will always be grateful. We hope to see you at the upcoming Skate for Gavin event on November 10 at the Canadian International Hockey Academy (CIH arena).